"Proclaim The Gospel Without Fear!" Find out more about the ministry. Every year, over 27 million people are forced to flee their homes because of persecution and conflict or a very present fear of it. Learn how you can help refugees. Learn about his story and why he started Open the Gates. Find out about Open The Gate's next seminars, events, interviews, appearances and more! Did you know that Muslims are the largest unreached people group in the world? There are nearly 1.5 billion Muslims who have never heard the good news of the Gospel. The Muslim people are earnest in desiring to please God, yet they have no knowledge of the Gift that leads to Eternal Life. Daniel thoroughly understands the Muslim culture, faith and beliefs, and despite the persecution he’s endured for his Christian faith, he continues to have a heart for the Muslim nation. 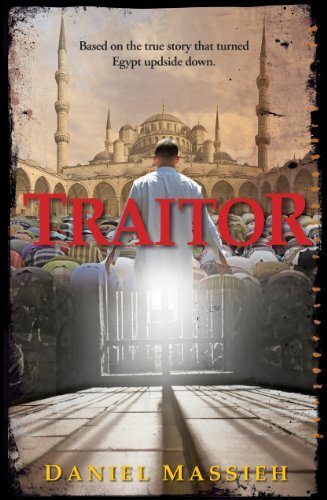 His most recent book, Traitor, is an eye-opener which discusses critical issues regarding Islam, issues that most people have never talked about or are too ashamed to share with Muslims or other Christians. He wrote this book to enable the body of Christ in America to wake up and witness to Muslims without fear. 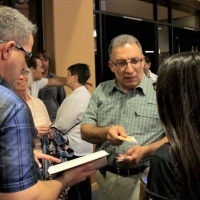 The true story of a man whose life is forever changed by the love of Jesus Christ and his walk thru the difficulties associated in a transformed life – from sinner to saint, and from Muslim to Christian – a forbidden thing in the world of the Muslim. I was blessed by Daniel’s desire and willingness to share the love of Christ with anyone he met and how he handled living in the terrible conditions of a Muslim prison and God’s protection and blessing upon his life. What makes this book especially interesting to me is knowing this is the author’s own experience, not just a story from a good writer. My favorite part is when the author is being interrogated by the Deputy Attorney General in Egypt and has the boldness to ask the DAG three questions. The DAG had no good answers but learned some profound answers and what Jesus offers when he asked the author the same questions. I found this to be a very readable book; it’s informative not only about the author’s experiences in jail for “crimes” against Islam but also about several specific concerns about the religion of Islam. Traitor is a must read for every person living in our age of global terrorism. This gives the underlying root of terrorism. I will recommend this to everyone who I know. I would definitely recommend the class to anyone. I have learned so much since I’ve known you, both through conversation as well as in the class. I realize now how ignorant I was as far as the Middle East culture is concerned. When I met my Syrian neighbor/friend, she would mention Allah and one day I asked her, “Who is Allah?” because I wanted to know what kind of god Allah was, and she said he is the God that created everything, so I got a sense that they used the name Allah for our heavenly Father, later. I feel better equipped now than I did before. Donating is fast, convenient, and comes with a high level of satisfaction.